Louisville Is For Lovers: Poorcastle Appreciation Month! 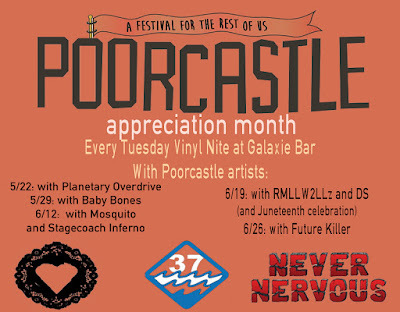 Join us every Tuesday for our weekly Vinyl Nite at Galaxie on Market st in Downtown Louisville with our pals Never Nervous and 37FLOOD as we pay tribute to Poorcastle Fest! 5 Weeks of Poorcastle bands spinning their favorite records, and bring yours to spin too! 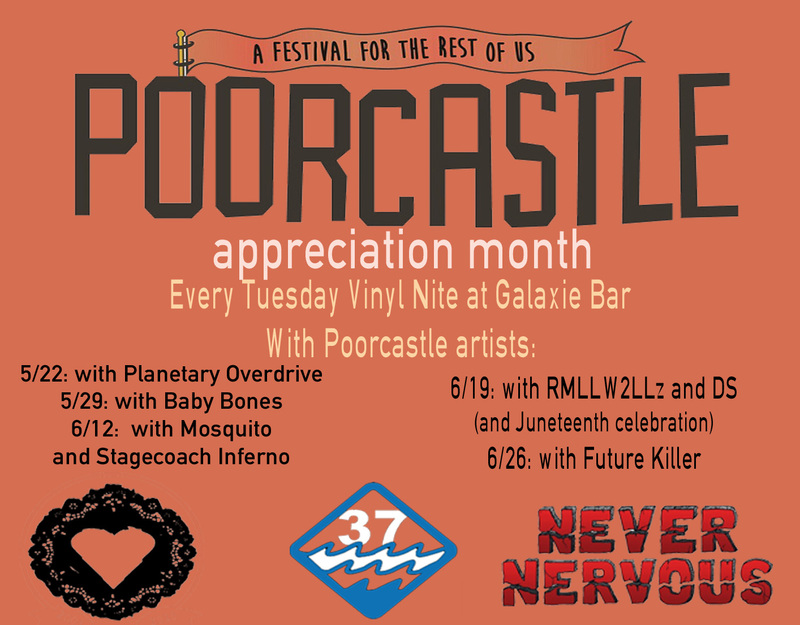 We are also giving away weekend passes to Poorcastle every Tuesday! 8pm-Midnight every Tuesday and always free!